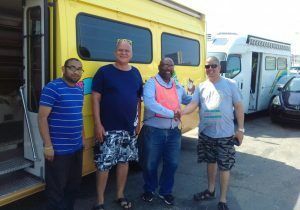 MOL; President & CEO: Junichiro Ikeda, today (22 Novemberber) announced that the company assisted the non-profit organization South Africa Primary Education Support Initiative (*) (SAPESI-Japan) with the ocean transport of mobile library vehicles to the Republic of South Africa. This marks the seventh time since 2009 that MOL has contributed to this initiative. MOL previously transported 48 vehicles, and in this phase, it transported two more, each donated from two municipalities in Japan. The vehicles were loaded on the MOL car carrier Genuine Ace on October 10 and arrived at the Port of Durban on November 15. 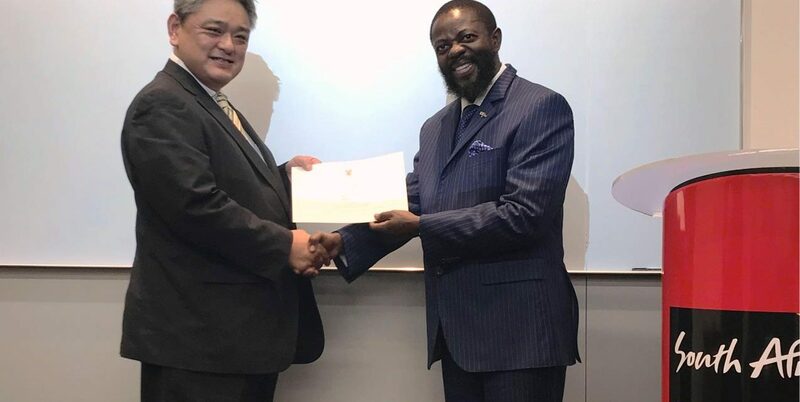 On November 16, a ceremony marking the transport of the two mobile libraries was held at the South African Embassy in Tokyo, with participants including His Excellency Thulani Dlomo, Ambassador of South Africa to Japan and MOL Car Carrier Division Deputy General Manager, Yutaka Ikeda. The mobile libraries that played important roles in local communities in Japan will soon gain new lives in South Africa, through visiting remote elementary and junior high schools that have no school libraries, and will contribute to create greater educational opportunities for youngsters all over the nation. MOL takes a proactive approach to social contribution activities that make use of its unique characteristics as an ocean transport company with a global network. (*) SAPESI-Japan cooperates with the South African NPO Sapesi and the South African Ministry of Education to collect retired mobile library vehicles throughout Japan and donate them to South Africa to raise the level of elementary education. In 2008, it was established as an NPO. Since then, the organization has promoted mobile library services and worked to improve school libraries.